Is Social Media a part of your existing brand strategy? Could you use some guidance and fresh ideas? competitors a significant advantage that will be hard to overcome! wisdom as you journey together down this road, keep reading! And given this economy, who doesn't want more business? 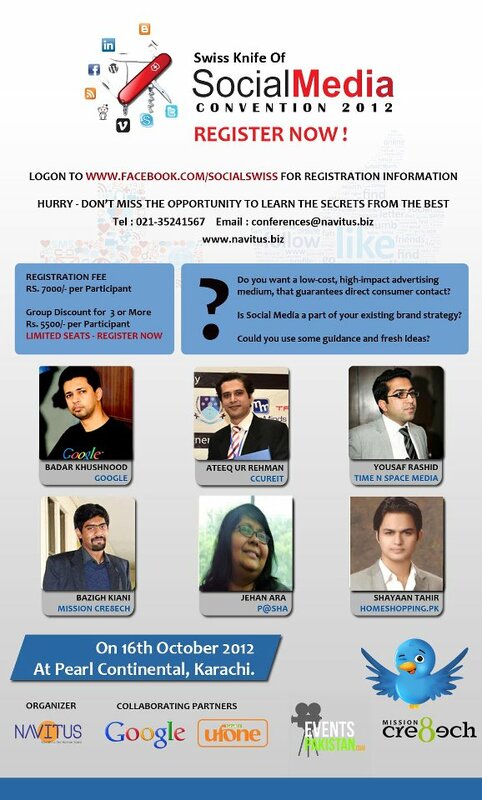 want to quickly achieve social media success! 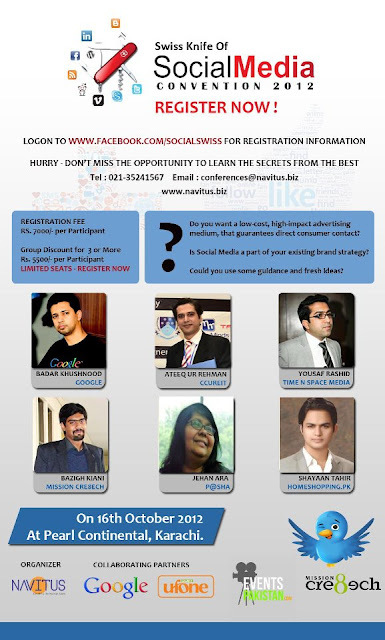 follow the link http://goo.gl/3tfyy, for UNLIMITED ACCESS to ‘Swiss Knife of Social Media Convention’!! and friends together to attend a one of its kind convention at the PC- Karachi on the 16th of October, 2012.